This photograph was taken in Leeds on the 88 route on 7th July 2003 and shows fleet number 421 (F421GWG). This is the actual vehicle as represented by Britbus model R 800X-BP. 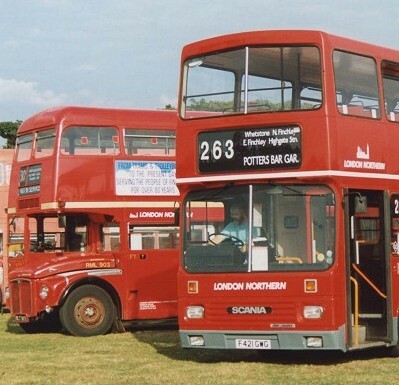 This photograph was taken at Showbus 1989 (Woburn Abbey) and shows fleet number S1 (F421GWG). 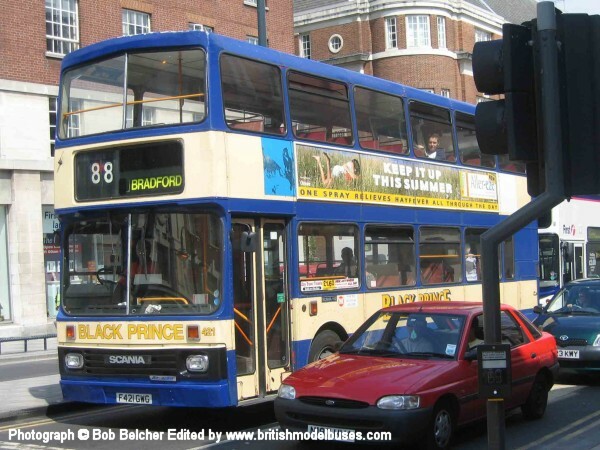 This is the sister vehicle to S2 (F422GWG) represented by Britbus model R801 (in London Northern livery) and the actual vehicle as represented by Britbus in Black Prince livery as model R 800X- BP (See above photograph for Black Prince livery). This photograph was taken in Barnet during July 1989 and shows fleet number S2 (F422GWG) during its first week in service in July 1989. This is the actual vehicle represented by Britbus model R801. 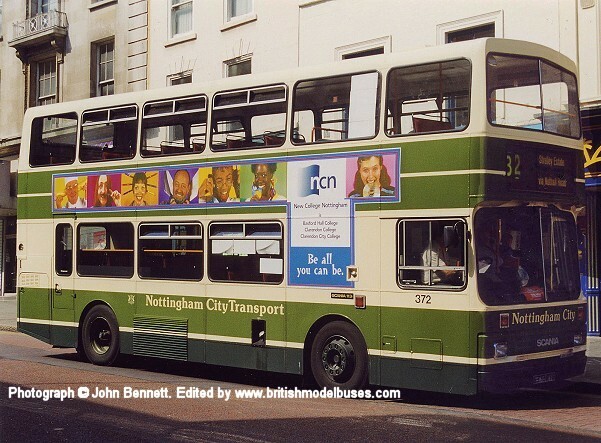 This photograph was taken in Nottingham on Sunday 2nd August 1998 and shows fleet number 372 (G372RTO). 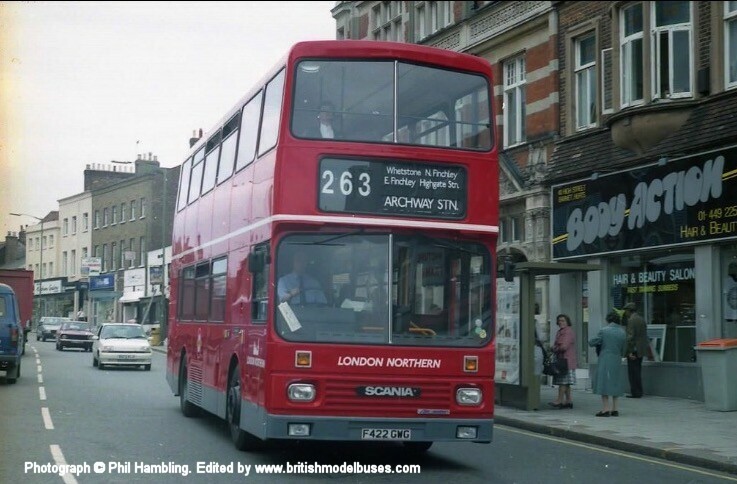 This vehicle is similar to fleet number 376 (G376 NRC) as represented by Britbus model R808. 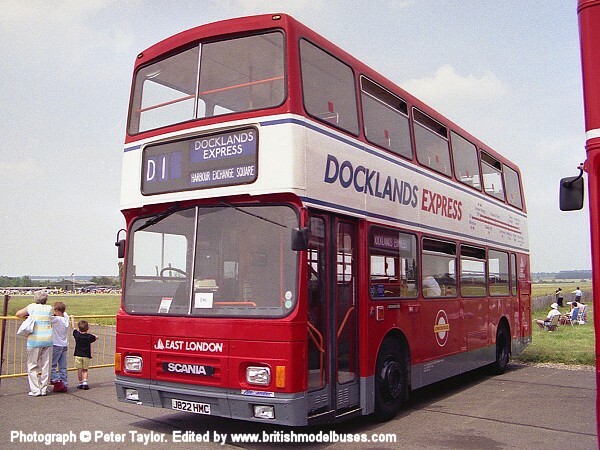 This photograph was taken at North Weald on 28th June 1992 and shows fleet number S22 (J822HMC). 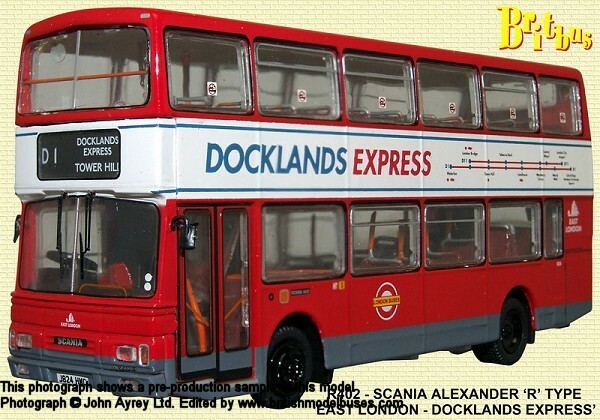 This is a sister vehicle to S24 (J824 HMC) as represented by Britbus model R402. 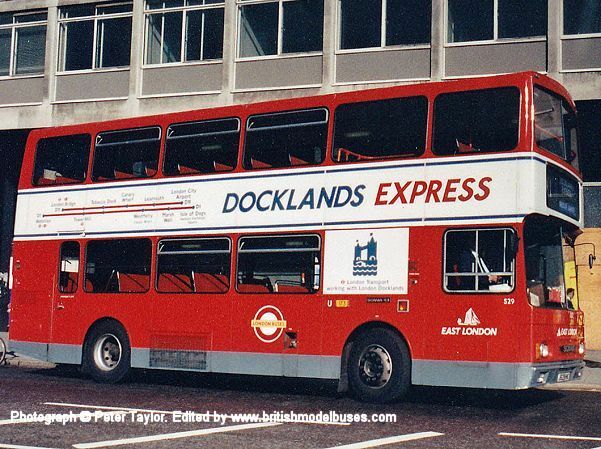 This photograph was taken during June or July 1993 and shows S29 (J829HNC). 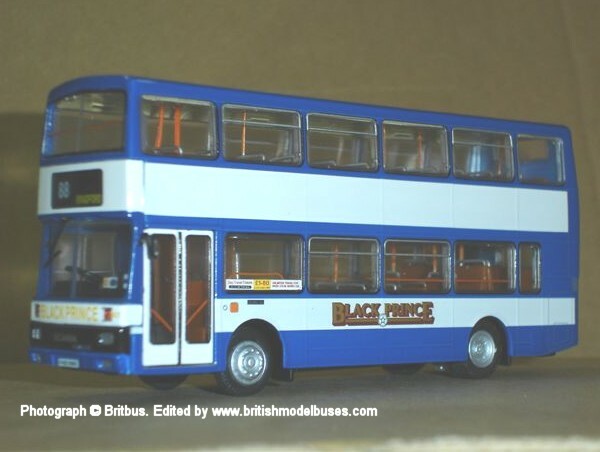 This is a sister vehicle to S24 (J824 HMC) as represented by Britbus model R402.